My pet's name is Pooky. She is a fifteen year old black lab. I got Pooky about a year ago at a shelter in Salem, Massachusetts. 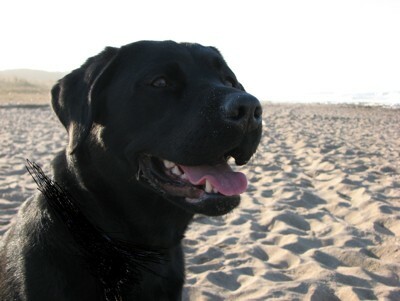 For fun, Pooky likes to go to the beach and walk in the sand and do the doggy paddle swim in the water. When he she eats, she likes to stick her whole head in the bowl. So so cute. Pooky looks wonderful for fifteen. I have a fourteen year old yellow lab and she has trouble with vision. My husband says she needs a guide dog. Bless you for adopting an older shelter dog! Pooky is adorable!